Here you can read press releases, which are also available in PDF format. For any questions or requests you may have, contact Sakis Gouzonis. Sakis Gouzonis releases his 11th studio album titled Open Horizon. His 11th studio album contains ten original instrumental electronic tracks, for a total playing time of 34:08 (m:s). All music tracks were composed, orchestrated, performed, recorded, mixed and mastered by Sakis Gouzonis in his recording studio located in Elassona, Greece. Open Horizon contains ten beautiful instrumental electronic music tracks. Ten beautiful MP3 tracks filled with tremendous energy. "Sakis Gouzonis sculpts a unique aural universe on the classically-informed ambient sweeps of “Amazing Space.” Cinematic in scope, Sakis Gouzonis creates kaleidoscopic seas of sound with multiple layers interacting in glorious ways…"
Open Horizon is available in MP3 format (320 kbps). For more information or requests, contact Sakis Gouzonis. View this press release in PDF format. Today, Sakis Gouzonis deactivated his PureVolume profile. On 20 October 2008, Sakis Gouzonis created his PureVolume profile. Upon the deactivation of his PureVolume profile, Sakis Gouzonis&apos; PureVolume profile had 378.423 fans and friends in 220 countries and territories. Sakis Gouzonis was the most popular Greek artist on PureVolume for almost ten years in a row. He was also the only Greek artist to top the PureVolume Music Charts at #1. PureVolume was once one of the world&apos;s largest music social networks. It was created by Unborn Media, Inc; Mitchell Pavao, Brett Woitunski, and Nate Hudson. It was launched in November 2003, and it received praise in the New York Times, L.A. Times, Newsweek, Chicago Tribune, The Wall Street Journal, and beyond. In 2010, PureVolume was acquired by SpinMedia. In August 2016, it was sold to Hive Media Group. Nine years ago, on 20 October 2008, Sakis Gouzonis created his PureVolume profile. Today, Sakis Gouzonis&apos; PureVolume profile has more than 370.000 fans and friends in 220 countries and territories. Sakis Gouzonis&apos; PureVolume profile is still the most popular Greek music profile on PureVolume, as well as one of the few very successful music profiles internationally. PureVolume is one of the world&apos;s largest music social networks. It was created by Unborn Media, Inc; Mitchell Pavao, Brett Woitunski, and Nate Hudson. It was launched in November 2003, and since then, it has received praise in the New York Times, L.A. Times, Newsweek, Chicago Tribune, The Wall Street Journal, and beyond. In 2010, PureVolume was acquired by SpinMedia. In August 2016, it was sold to Hive Media Group. 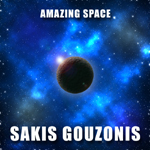 Sakis Gouzonis releases his 10th studio album titled Amazing Space. His 10th studio album contains ten original instrumental electronic tracks, for a total playing time of 35:16 (m:s). All music tracks were composed, orchestrated, performed, recorded, mixed and mastered by Sakis Gouzonis in his recording studio located in Elassona, Greece. Amazing Space contains ten beautiful instrumental electronic music tracks. "…His songs are what you would expect to hear within the soundtrack from a truly epic movie, accompanying and complementing beautiful imagery in a very special way; it&apos;s like a journey through sound…"
Amazing Space is available in MP3 format (320 kbps). Eight years ago, on 20 October 2008, Sakis Gouzonis created his PureVolume profile. Today, Sakis Gouzonis&apos; PureVolume profile has more than 315.000 fans and friends in 220 countries and territories. Sakis Gouzonis&apos; PureVolume profile is still the most popular Greek music profile on PureVolume, as well as one of the few very successful music profiles internationally. On 17 October 2007, Sakis Gouzonis began promoting his music on the internet without any assistance from record labels, management/booking agencies or marketing companies. Today, 3243 days later, 700.000 people from 220 countries and territories have become fans of his music, and support him online in every way that they can. It would take 16 Panathenaic stadiums to fit them all. The 700.000th fan comes from the United Kingdom. Sakis Gouzonis&apos; official website, www.SakisGouzonis.com, is still one of the most visited artist websites in Greece and internationally. 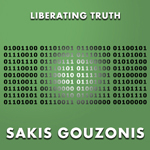 Sakis Gouzonis releases his 9th studio album titled Liberating Truth. His 9th studio album contains ten original instrumental electronic tracks, for a total playing time of 37:38 (m:s). All music tracks were composed, orchestrated, performed, recorded, mixed and mastered by Sakis Gouzonis in his recording studio located in Elassona, Greece. Liberating Truth contains ten beautiful instrumental electronic music tracks. "…What makes “A World At Peace” intriguing is its attention to detail. 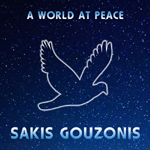 These soundscapes that Gouzonis crafts feel authentic and original… For a long-winded, entirely instrumental electronic effort, “A World At Peace” conveys incredible emotion in its delivery… Gouzonis&apos; eighth effort is a triumph of originality and nostalgia…"
Liberating Truth is available in MP3 format (320 kbps). Note: You will need Adobe Acrobat Reader to view the above PDF documents. All press releases are available both in plain text and in PDF format. For any questions or requests you may have, feel free to contact Sakis Gouzonis anytime you want. Adventurous, affectionate, communicative, creative, emotional, exuberant, generous, inventive, persistent, reliable, resourceful, are just a few words to describe Greek electronic music composer Sakis Gouzonis. Cookies are small pieces of data that are sent from a website to a device. Analytics allow Sakis to know how his website is used by his visitors. 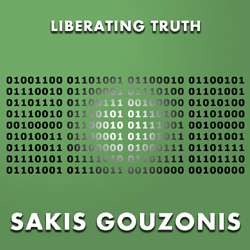 All contents on this website (including but not limited to MP3 files, album covers) are protected by copyright and they cannot be reproduced or distributed in any form or by any means without the written consent of Greek electronic composer Sakis Gouzonis. Copyright © 2008-2019 Sakis Gouzonis. All rights reserved worldwide. Designated trademarks/brands are their respective owners&apos; property.